All Over The Octagon is the ultimate English Paper Piecing project based around a 2” finished octagon. 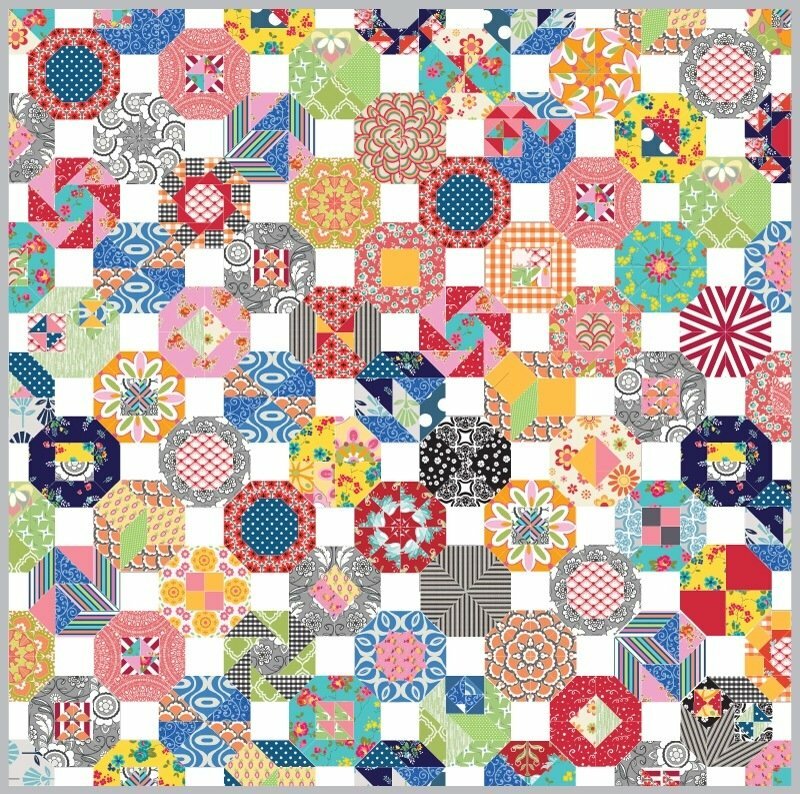 This pattern includes 13 different shapes that will go together to make many different combinations with 8 different design options available to finish your quilt or other preferred project. This project has no set size - make a quilt, a runner, a wall hanging - the possibilities are endless. This kit includes the booklet and the following acrylic templates and paper pieces. DOES NOT INCLUDE FABRIC.